What a perfect morning for some incredible espresso and a bike ride. 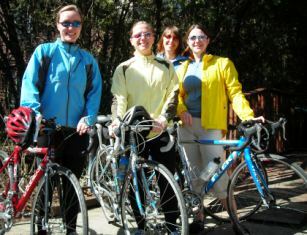 Tazza D’Oro’s loyal bike crowd was out in mass today – working out the kinks and getting use to the saddle again. John tells me that beginning in April we will begin our Team Caffeine and Team Decaf rides so stay tuned. Get your bike ready Petunia!